Let our auto paint shop transform your weathered Bonney Lake car with a new coat of paint, and soon you will fall back in love with it again. By utilizing a state-of-the-art painting system, our auto paint shop is able to give Bonney Lake vehicles a perfect finish. 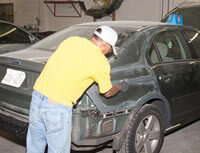 An important aspect of collision repair is the car painting job. After all the repairs are completed and the original shape of the body is restored, the car painting completes the repair process. We perform car painting jobs in the Bonney Lake area with close attention to detail and care. We have the resources necessary to perform quality car painting work that ensures lasting results. Custom auto painting for your Bonney Lake vehicle does not have to be a costly task and can be an enjoyable experience here at our auto paint shop. 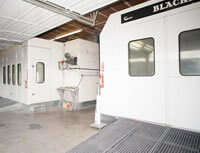 Our custom auto painting services are tailored to match the unique needs of your vehicle. Give Lakewood Auto Body a call at 253-581-0220 to schedule a custom auto painting service for your Bonney Lake car or truck.